1) Mr. Fo and I really need a vacation. 2) I heart weddings. Duh. 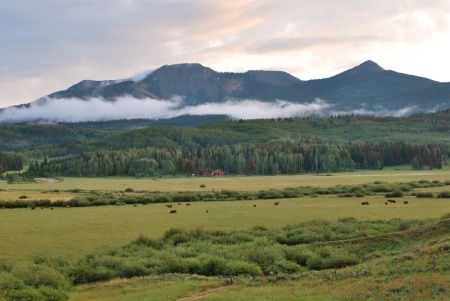 3) I've never even been to the state of Colorado, not to mention the beautiful Steamboat Springs. I think I'm more of an East Coast girl, but I am MORE than happy to explore the other side of the country, don't get me wrong! 4) We can get in touch with our outdoorsy side with gorgeous hikes and swims in the hot springs. Not to mention a gondola ride over the mountain. You just can't do these things in Charlotte. That's a fact. 5) Oh, and did I mention that the wedding is on the brides family's working cattle ranch? If that's not awesome, I don't what is. More on that later. Obviously I'm concerned about what to wear...and how to pack it all. (Note: Packing is evil.) It's about 90 during the day and 55 at night which provides quite the conundrum. So I hit up the fantastic blog Colorado Couture for some inspiration. This outfit is amazing. Minus the shoes which I'm definitely not going to walk around in and are not suitable for hiking (but are really cute). I also plan to settle the ongoing debate - should I get a fedora? YES. I will be purchasing this weekend at Tarjay which has a fantastic fedora selection. Whew, glad I settled that. This is super cute for a fancier ocassion...love the necklace and the shoes! 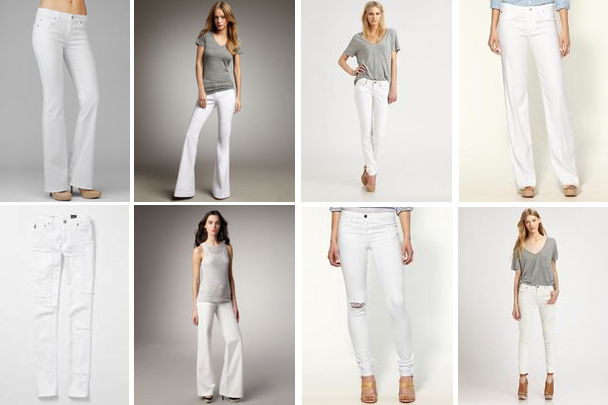 I have already been rocking the white denim (Thanks LOFT) this summer, so you know I was planning to bring those along. I heart white jeans. 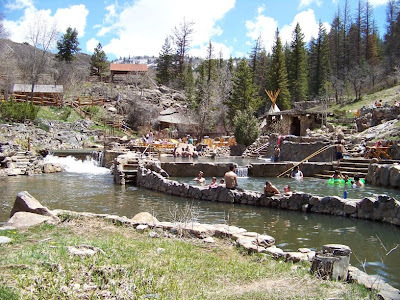 Here are those hot springs I was talking about...I'm planning to take a dip for shizzle. 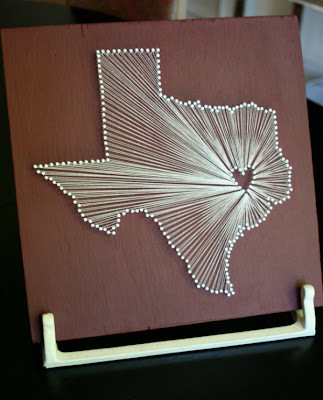 Love this "map" of Colorado from Etsy! How yummy does this Colorado Bulldog look? 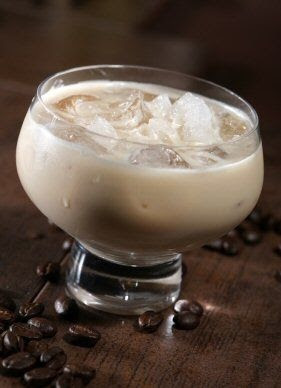 It's a take on a white russian, which holds a special place in my heart. Miami University grads, you know what I'm talking about. 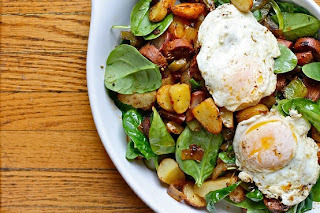 This traditional Colorado breakfast hash is calling my name. Poached eggs are my friend. 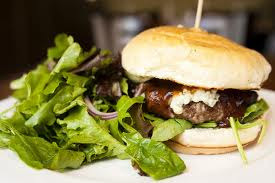 Oh, and so is this bison burger. Another thing you can't find easily in Charlotte. 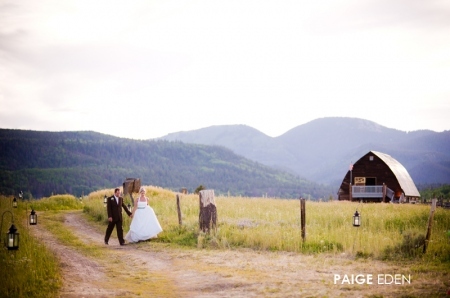 And I love these next 2 pictures because they are from the Fetcher Ranch, where the wedding will be! I love that barn! jack, i think that's a map of texas ;) but you're going to love colorado! 90 there is soooo much different than 90 here. way more comfortable. no humidity and no bugs! Have fun! I love Colorado! 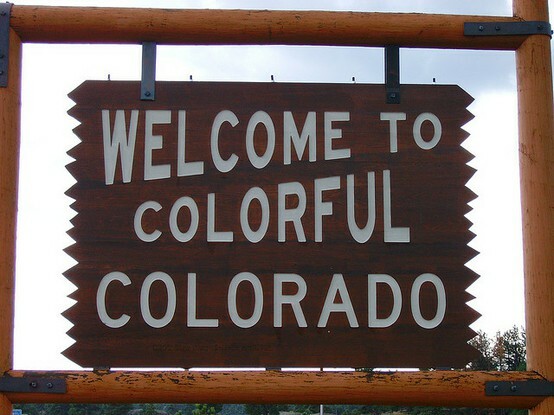 Have fun and be safe, I understand there's some wild stuff going on in Colorado right now. A Summer Goal - Hint: It involves cocktails!